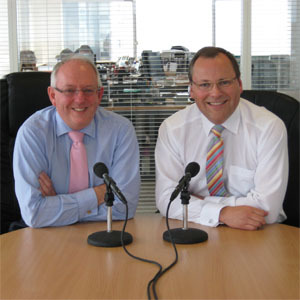 This series of podcasts and accompanying materials can either be downloaded or played direct from the website on what is perhaps the single most important issues facing a family business – survival. Statistics show that approximately only 10% of family businesses survive beyond the third generation. This series of programmes, presented jointly with Nigel Wallis of specialist law form O’Connors LLP, is about why this is the case and how to best ensure survival down the generations – of course when this is the wish of the family. Every business and those in the business are unique. Whilst it may feel very different at the time, the issues themselves and their resolution are not unique. We aim to explain a methodology that can address the issues and how a matrix of solutions provided in an integrated way can ensure survival down the generations. Each programme is approximately 30 minutes in length – typical drive time – and it is hoped they are relatively easy listening while providing practical and helpful advice on the issues involved. In turn each programme is tracked so that you can go direct to any specific issue you wish. Click on the programmes below for the podcasts and more information on each topic.